My IKIGAI According to the wikipedia, "Ikigai is a Japanese concept meaning 'a reason for being'. Finding it requires a deep and often lengthy search of self. 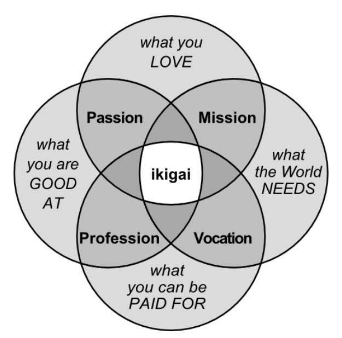 Such a search is regarded as being very important, since it is believed that discovery of one's ikigai brings satisfaction and meaning to life."